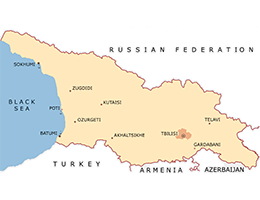 In the unified power system of Georgia, wholesale purchase and sale (trade) of electricity is carried out under the direct contracts or through the Electricity Market Operator (Balancing Electricity). Balancing Electricity is traded exclusively through the Electricity Market Operator. Balancing Electricity sale/purchase is possible through the direct contracts as well as through the Standard Conditions of Direct Contract. Balancing Electricity is the electricity (capacity) bought and/or purchased by the Eligible Enterprises to meet the actual needs of the buyers and sellers, including the balancing of contracted volumes of electricity stipulated by the direct contracts. An eligible enterprise, which has not signed and duly registered the direct contract on purchase or sale of electricity according to the applicable law, shall be automatically linked to the Standard Conditions of Direct Contract on purchase and sale of Balancing Electricity. Georgian National Energy and Water Regulatory Commission approves the Standard Conditions of Direct Contract on sale and purchase of Balancing Electricity, based on the Market Operator’s proposal. Average annual share of Balancing Electricity in the total supply and consumption is 10-15%.